Why we care about fixing feet. Ever thought about your feet as your foundation? We fix feet. We love feet. We like to think of ourselves as health professionals who help the people of Perth build strong resilient postural foundations, from the feet up. And we take our mission seriously, with a strong commitment to excellence at what we do in our podiatry clinic day after day. Your feet carry the weight of your body and get you around- they’re important! Go to work. Go for a walk. Exercise or play sports. Travel. Enjoy life at the fullest. So when something is wrong, you need experts with a passion for podiatry and a passion for feet. From superficial skin and nail concerns such as ingrown toenails or callus underneath your feet, to the structure and biomechanics of the foot which makes a big difference in your ability as an athlete; feet have a tremendous impact on your “performance”, whether that means going for a daily walk along one of Perth’s beaches, or being an elite sportsperson. We believe that by helping you take good care of your feet with regular podiatry treatment, we can help you create the best possible lifestyle. Our podiatrists at The Foot Clinic Perth are experts in what can go wrong with feet. An autoimmune disorder can affect your balance. A skin or nail problem can cause friction and influence your posture. A posture problem can impact other joints, all the way up to your lower back, if left untreated. At The Foot Clinic we put it all together, because the body is connected, and because we know how the body works as one big biomechanical system. We think it’s important to educate our clients about their condition. Our biomechanical assessments are designed to learn more about the structure and function of your lower limb. That information can help us make recommendations for treatment like personalised exercise or rehabilitation programs, a change in footwear, custom orthoses or specific innovative treatments such as Thor Low Level Laser treatment or Power Plate Neural Stimulation. We love to take care of your feet, because it makes such a big difference to your daily life. Your treatment will be tailored to your personal needs. If you have only recently discovered us, our patients will tell you that the team at The Foot Clinic is willing to explore innovative ideas and leaves no stone unturned to improve your foot health. Some of our team members have worked with elite athletes, assisted with sports injury rehabilitation and integrated exercise programs such as Physitrack. 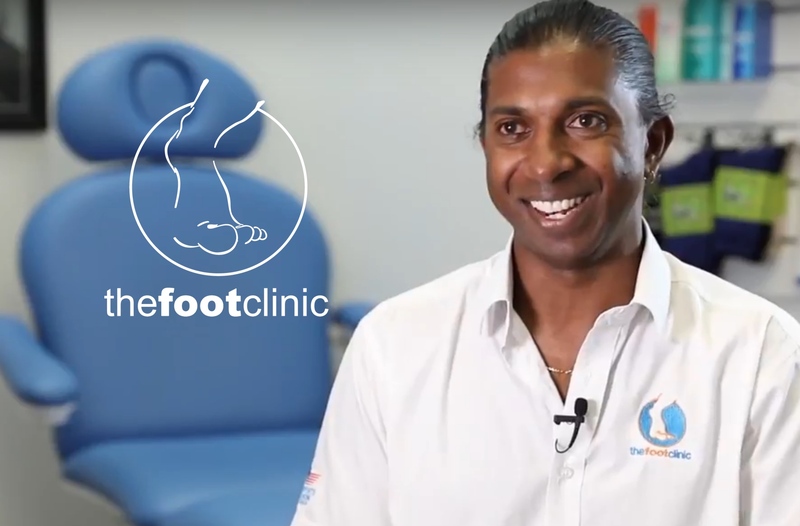 When you work with one of our podiatrists at The Foot Clinic Perth you get the benefit of all that expertise and experience, and our commitment to help you back on your feet and back to your best possible performance. So whether it’s a skin and nail problem, muscle or joint pain, foot function issues or a need for advanced exercise tracking and performance measuring, come and speak to our team at The Foot Clinic. We look forward to helping you!